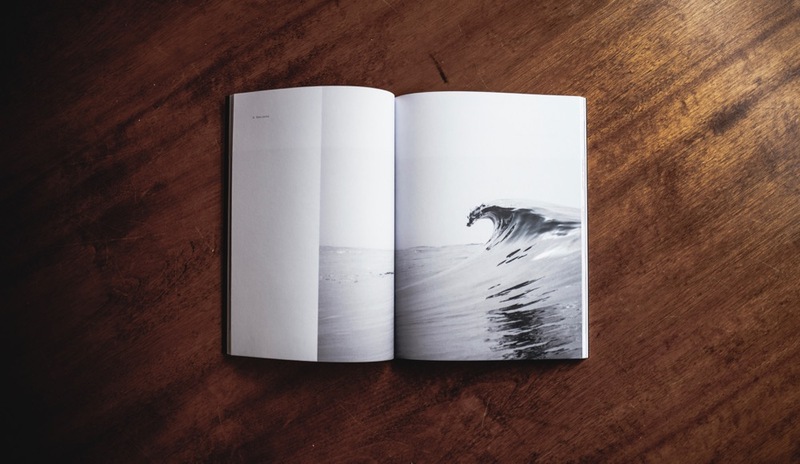 No matter your business, leadership style, or level of experience, there is a book out there that will inspire you, make you think differently, and help stir change where it’s needed. We asked members of Young Presidents’ Organization for their top book recommendations and received everything from autobiographies and how-tos to ancient scriptures and rap-lyric management. Taken all together, these responses show there is no single path to influential leadership. David B. Yoffie and Michael A. Cusumano’s new book, Strategy Rules, examines five timeless lessons from Bill Gates, Andy Grove, and Steve Jobs. - Ian Halfon, managing director of Slick Restaurant Group. As an entrepreneur, I find that The Breakthrough Company really speaks to me. It uncovers what it takes to build your startup to the next level and references the value of YPO’s networking and forum, which I found interesting and relatable. - Ryan Gregg, managing partner of Underground Printing Group. The Power of Habit by Charles Duhigg discusses how we should, as much as possible, build habits into our days so we don’t spend time making small decisions and can instead focus our energy on the decisions we need to make. - Joelle Goudsmit, president of Dimension-All Formworks and Scaffoldings. 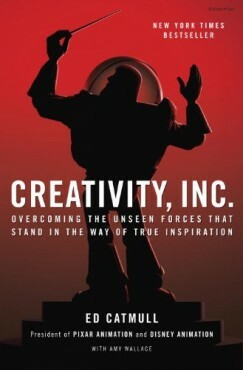 I thought Creativity, Inc. was very insightful about building a culture of creativity. - Kelly Mooney, CEO of Resource. Because I’m a small-business guy, I love Michael Gerber’s The E-Myth. It really helped me understand the concept of working on my business, not in it, and it showed me how to set up procedures from day one that would last a decade or more. - Jason Robbins CEO and president of ePromos Promotional Products. Traction by Gino Wickman helped me run our business much more effectively. It helped us have a clearer mission, accountability, efficient meetings, better interactions, and much more. We hired a consultant to help us implement the concepts, and they made a huge difference. - Jamin Arvig, founder and CEO of US Water Filters. Talent Masters by Ram Charan and Bill Conaty is about hiring and nurturing the right talent to grow your business. What impressed me was the lucid writing style and the studies collected from around the world. Good human resources make the biggest difference for a successful venture. - Ramana Prasad, managing director of Hivelm Switchgear. I really enjoyed Switch by Chip and Dan Heath. It is about the psychology and science of change and emphasizes change within people. If there is something in yourself or your organization you’d like to change, the steps to doing so may be less intuitive than you think. - Dan Price, CEO of Gravity Payments. The introduction to each chapter in The Hard Thing About Hard Things is a lyric from a rap song that relates to management and leadership. I found it both charming and real. The advice throughout the book comes from captains of industry with proven methods on a variety of topics I struggle with. Many of these founders and leaders have used solutions in the book to solve real problems that speak to me. - Jenene Ronick, founder and CEO of Luxury Attaché. 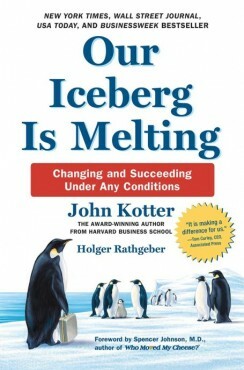 In Our Iceberg Is Melting, John Kotter has thoughtfully and cleverly explained his model for effecting major and sustainable organizational change through a compelling and accessible parable. He tells the story of a young penguin who believes his clan’s iceberg is melting and will collapse with everyone inside it. The young penguin masterfully builds support to move to another iceberg by executing Kotter’s eight-step change management strategy. As I worked on systemic change in the broken U.S. healthcare system, I found this book instructive and engaging. - Richard (Rick) Kimball, founder of HEXL. Shrimad Bhagavad Geeta is a very spiritual book based on ancient Indian philosophy. The focus is on karma and the significance of one’s actions. It provides spiritual guidance that can be applied to the modern workplace. For example, it encourages focusing on the work and task at hand, not on results. It is something I always tell my team to do; positive output will happen, but they need to focus on input first. - Shailesh Chaturvedi, managing director and CEO of Tommy Hilfiger India. I found Daring Greatly to be eye-opening and thought-provoking on the power of vulnerability. YPO is the premier chief executive leadership organization in the world, representing a global community of leaders committed to the shared mission of becoming “Better Leaders Through Lifelong Learning and Idea Exchange.” YPO today provides more than 24,000 members in more than 130 countries with access to extraordinary educational resources, alliances with leading institutions, and specialized networks designed to support their business, community, and personal leadership. Altogether, YPO member-run companies employ more than 15 million people around the world and generate $6 trillion in annual revenues. For more information, visit www.ypo.org.